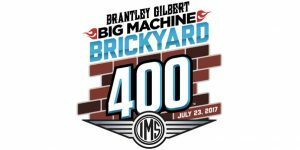 Schedule for the 2017 Brantley Gilbert Big Machine Brickyard 400 activity Sunday, July 23, at the Indianapolis Motor Speedway. 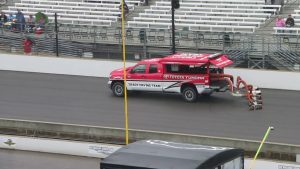 Schedule for the 2017 Brantley Gilbert Big Machine Brickyard 400 and Lilly Diabetes 250 activity Saturday, July 22, at the Indianapolis Motor Speedway. Schedule for the 2017 Brantley Gilbert Big Machine Brickyard 400 and Lilly Diabetes 250 activity Friday, July 21, at the Indianapolis Motor Speedway. 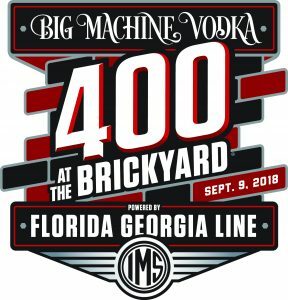 Music industry leader Big Machine Label Group is the new entitlement sponsor of the Brickyard 400 at the Indianapolis Motor Speedway. 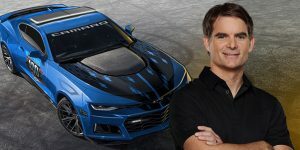 NASCAR legend Jeff Gordon will drive the 2017 Chevrolet Camaro ZL1 Pace Car to lead the field to the start of the 24th annual Brickyard 400. Local Indianapolis sports news from June 29, 2017, straight from the source. 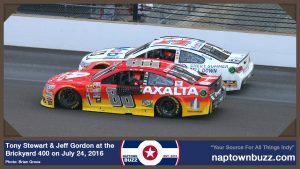 The Brickyard 400 will enter a new era of excitement in 2018, as the annual Monster Energy NASCAR Cup Series race at the Indianapolis Motor Speedway will move to Sunday, Sept. 9.